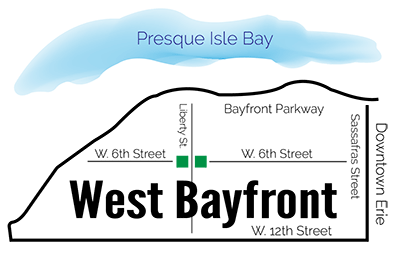 The mission of Our West Bayfront is to enhance the quality of life in the West Bayfront neighborhoods by promoting civic involvement, thoughtful development, historical preservation, and neighborhood pride. OWB offers several resources to property owners in the West Bayfront to help improve the safety, quality, and appearance of residential and commercial structures. Property owners throughout the West Bayfront are eligible to apply; however, preference may be given to prioritized blocks. Please contact OWB at (814) 871-7050 to learn more and obtain an application.